Two common Bessel functions are shown in the following graph. 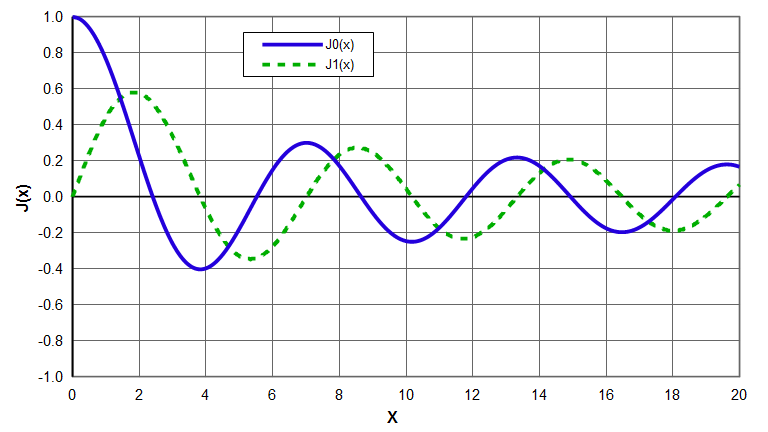 Note that \( J_0(x) \) resembles a decaying cosine while \( J_1(x) \) resembles a decaying sine. 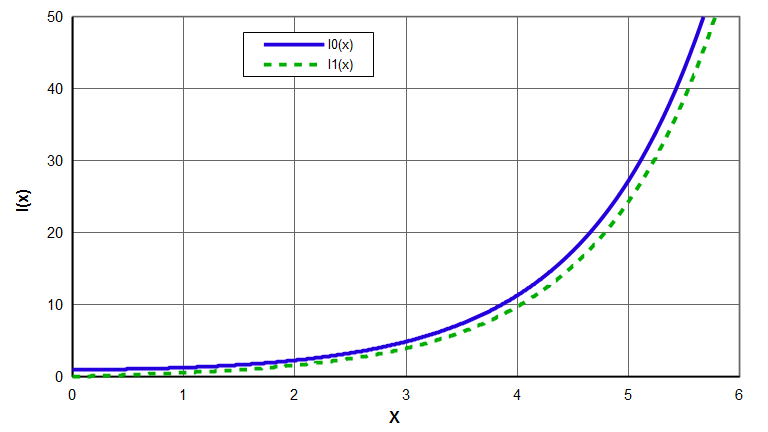 Two common modified Bessel functions are shown in the following graph. Note that \( I_0(x) \) resembles a hyperbolic cosine while \( I_1(x) \) resembles a hyperbolic sine. Bessel functions and modified Bessel functions describe the flexural and radial vibration of disks and the axial amplitude of a pressure wave in an infinitely long cylinder (and many other physical phenomena). Abramowitz, pp. 355 - 434.